I love Christmas. LOVE it! It’s sort of ironic, really: the Christmas season takes place just when the weather is getting colder and the nights have grown oppressively long—two of my least favorite things. But the merriment, twinkling lights, evergreen boughs, and joyous carols more than make up for December’s shortcomings. It’s a stressful season, and for some it’s a melancholy one, but it’s also the one time of year when love is at its strongest, lights are at their brightest, and laughter is at its jolliest. My heart is full, and Gold Stars abound. Here are a few things that are making me inordinately happy this Christmas season. Growing up, my family celebrated Advent with a weekly candle lighting, accompanied by a cassette tape guide through songs, scripture readings, and Bible-based stories. Those are some of my favorite childhood memories and I always knew I wanted to commemorate Advent in a special way with my own children one day. Since Charleston’s first Christmas when he was just 11 months old, we have participated in the same nightly Advent traditions: we read from Ann Voscamp’s beautiful family Advent book Unwrapping the Greatest Gift and Charleston adds an ornament to his Melissa and Doug magnetic Advent Tree. Charleston is still too young to fully appreciate Voscamp’s lyrical and metaphor-heavy writing, but he enjoys the pictures and the act of reading together, and this year he is able to participate in the discussion questions at the end of each day’s reading. The Advent tree has been fun for him from the beginning, and he loves it even more this year, though he has a hard time adding just ONE ornament to the tree each day. This year we added a couple more traditions to our Advent celebrations. We got Charleston his first chocolate Advent calendar; it’s a hit (because chocolate and also because he is learning his numbers and enjoys looking for the appropriate one each day). We also bought a candle wreath and plan to light the appropriate candles throughout the weeks of Advent. It seems like a lot to do every day, but now that Charleston is old enough to grasp the concept of Christmas, I want to do all we can to emphasize its true meaning. Outside of Advent traditions I’ve done with my family, I’ve never done an Advent-themed devotional; I’ve definitely been missing out! 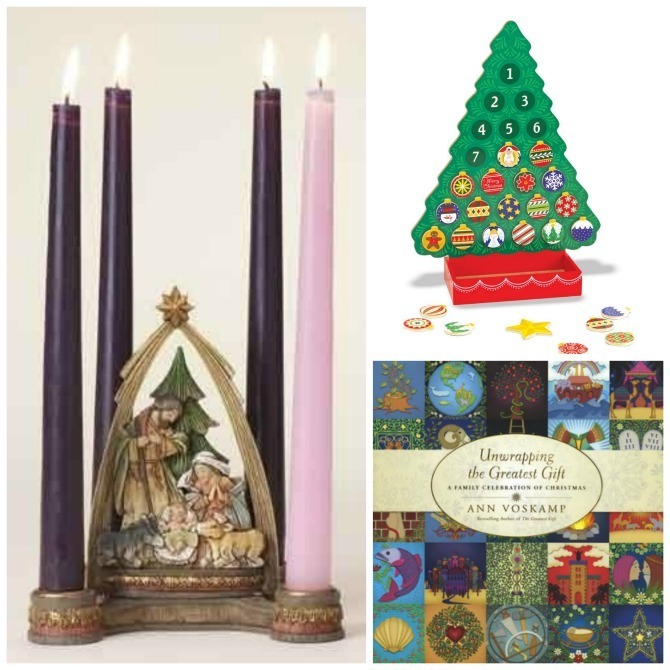 This season I’m spending time each evening with Tsh Oxenreider’s Simple Advent Guide. 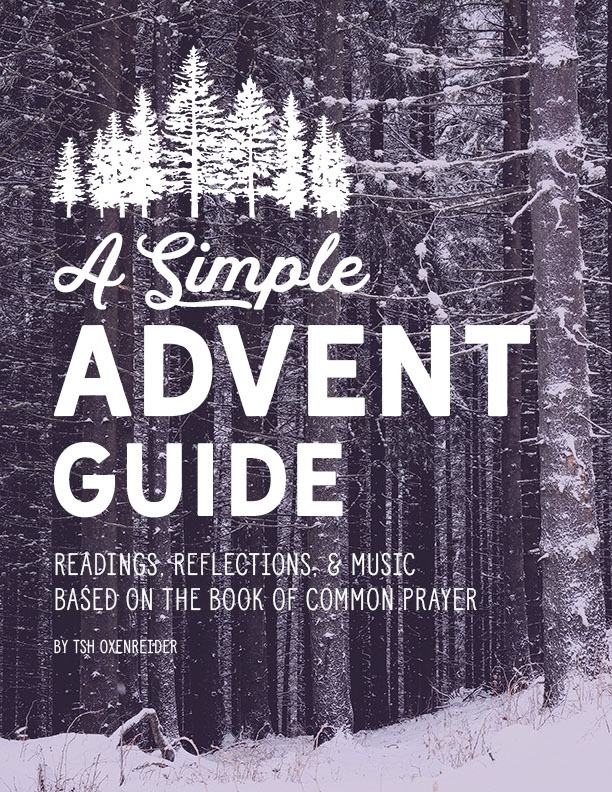 The downloadable guide includes short daily readings from the Common Book of Prayer, along with a specific song to stream from a carefully curated Advent Spotify playlist. The simple guide would work well for families, but I’ve enjoyed incorporating it into my personal quiet times every night once my boys are in bed. Sitting in the soft light of our Christmas tree, I journal my response to the daily question, with the music playing softly in the background—such sweet time with God, and a wonderful Christmas tradition I can have all to myself. From the sacred to the secular. . . Have you noticed that I sort of have a thing for gift guides? I created FIVE for you this year (Christmas themed // for Her // for Him // for Kiddo // Stocking Stuffers). Compiling these guides was ridiculously fun for me because giving gifts is one of my love languages, and I just love finding the perfect gift to give—even when the recipient is a hypothetical one! In addition to creating gift guides of my own, I enjoy perusing guides that others have curated. Even when none of the items in the guide would work for people on my own shopping list, I find it fascinating to see the items others have discovered. Gift guides in catalogues and on retailers’ websites can entertain me for hours, and scrolling through Amazon’s various guides—fashion, toys, home goods, oh my!—has become one of my favorite December pastimes. from Belle + Lu: Gift Guides for HER – aka YOU! I’ve written about this app before, and it’s one of the most useful tools in my Christmas-prep toolkit. It’s a shopping list manager that allows you to set a budget, import recipients, create shopping and wish lists, and track individual gift progress from idea to purchased/wrapped/given. 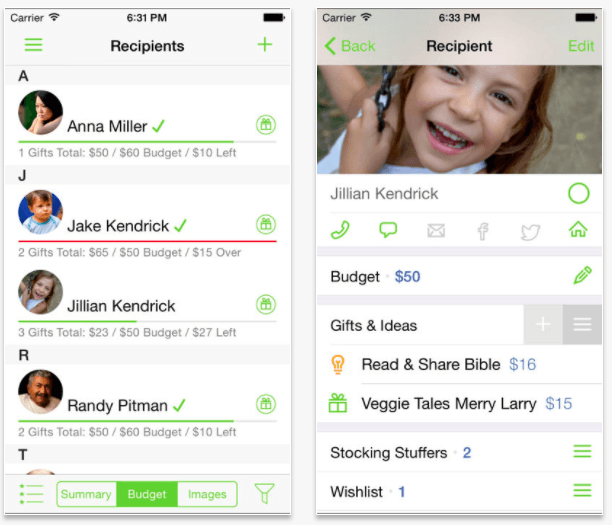 The app has an attractive and user-friendly interface, and it provides the organization I need to be excited about my gift giving rather than overwhelmed by it. I particularly appreciate the archival feature, which allows you to archive gifts at the end of the season and look back at previous years’ budgets and gifts. 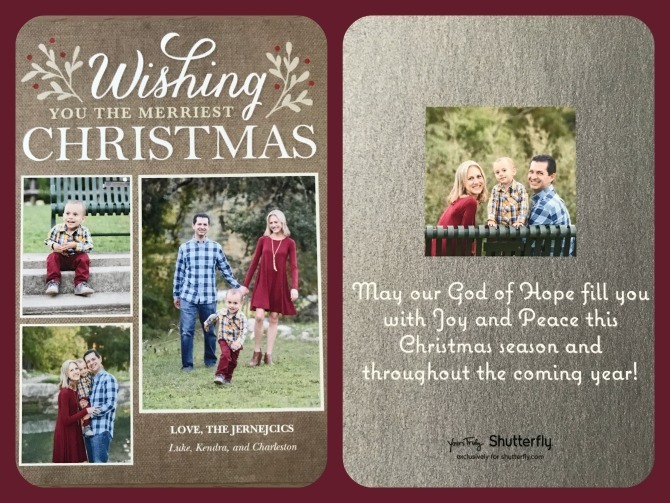 Sending out annual Christmas cards seems to be a dying trend, and each year I question whether I want to invest the time and money required to keep up the tradition for our own family. However, I know how much I enjoy receiving Christmas cards from others, so I will continue to respond in kind. Another reason I continue to get cards made each year is a selfish one: I like having our past years’ cards to look back on, showing the progression of our family over the years. Each Christmas I frame our card and add it to our collection to display throughout the Holidays. When the season is over, the past years’ cards get boxed up, but we keep the most recent card on display for the year. (We do the same for our annual picture with Santa.) And I’m really happy with how our card turned out this year! When my parents celebrated their first Christmas together in 1977, they decided to begin a tradition of buying one new Christmas ornament each year. The ornament could simply be one they really liked, or it could be a token by which to remember the year, such as a souvenir from a vacation or an ornament recognizing a family milestone (like a new home or family member). My parents have continued the tradition for forty years, and when Luke and I got married nine years ago, I decided I wanted to introduce the tradition into our new little family as well. We now have nine years’ worth of ornaments on our tree, each representing a unique point in our married life. Watching this collection grow each year is one of my greatest joys each Christmas. This year’s ornament is a glass-blown cockatiel, in honor of our Sunnybird who passed away (at 21 years old!) this past May. Charleston was so excited to see Sunny on our tree, which prompted some sweet reminiscing about our pet. 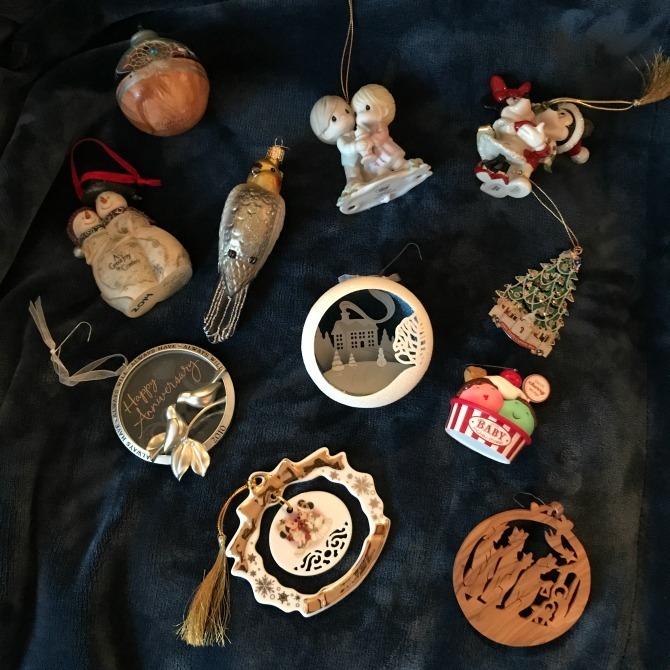 Our ornaments might just be things, but I cherish the memories that each one carries and the stories they tell. Nine years’ worth of annual ornaments, plus two more we received from our parents the year we were married. 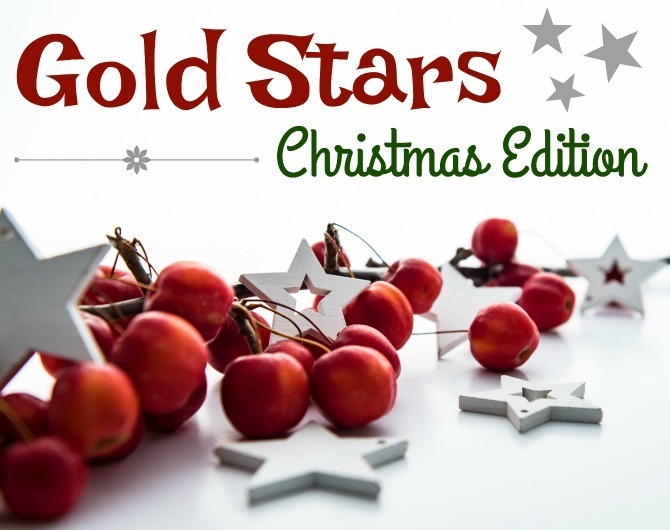 What are some of your favorite Holiday traditions, or other Christmas-related gold stars? I’d love to hear about them! 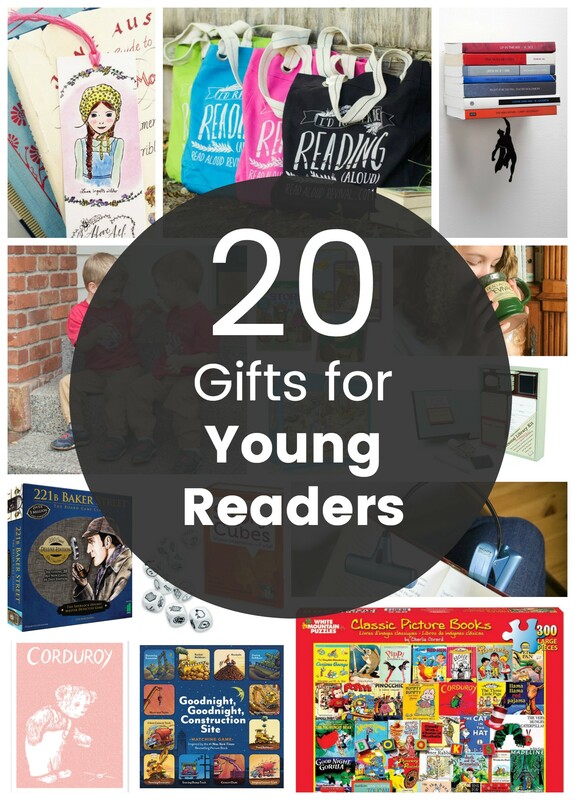 ← Holiday Gift Inspiration // Stocking Stuffers Galore!